Discovering the step-counter on my phone has been…a challenge. 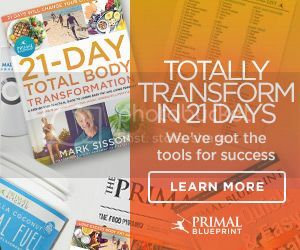 I am competitive to a fault – a trait that I mostly wish would go away – and being able to compare my daily mileage has become my end-of-day obsession. This weekend, I uncovered the not so surprising root of this step-counter-compulsion: my parents. They were in town for the weekend, during which we clocked over 30 miles of walking. At some point each day, all three of us would compare mileage, as though our phones each held some magically unique number. 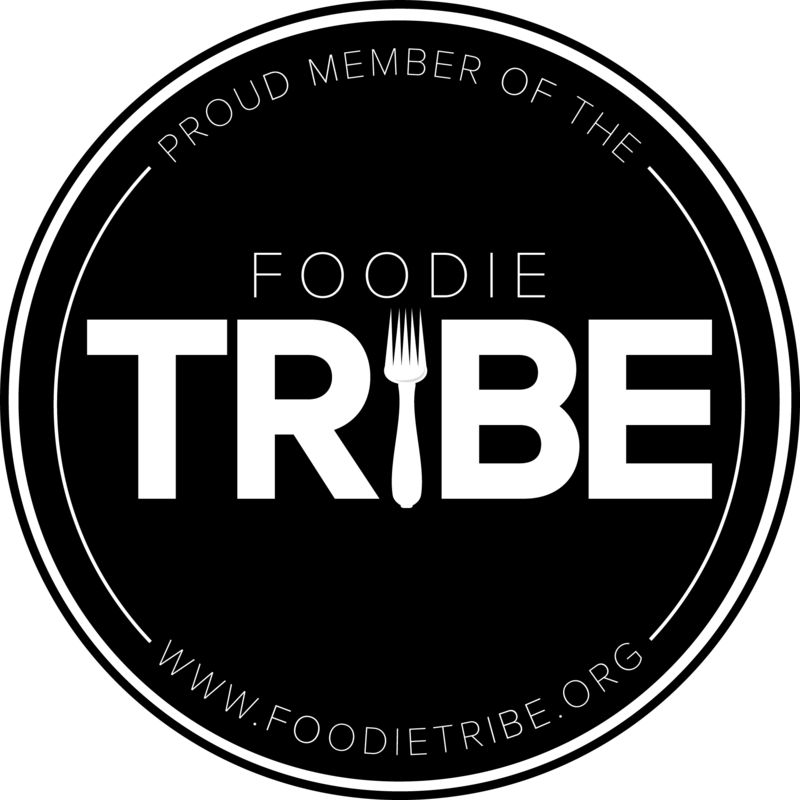 I suppose I’m grateful to have inherited a mild fitness addiction, since I also inherited a deep love of food. In a single day, my mom and I tasted sesame noodles, cookies, hummus, and doughnuts in a three hour window of walking. Why is this relevant, you ask? Because it’s Monday and I need to hit reset on my diet – without giving up flavor. 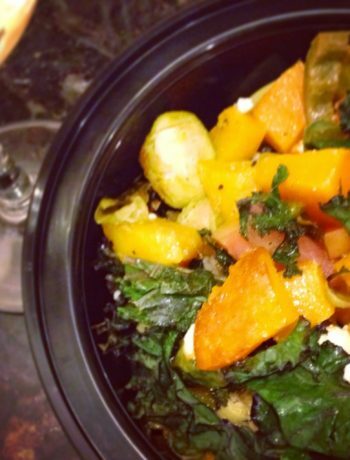 This recipe made four large portions and will be fueling my walks all week with protein and fiber. And yes, that was me strolling up and down the block trying to break 10,000 steps. Preheat the oven to 375 degrees. Line a baking sheet with foil and spread the asparagus on the sheet, then drizzle a bit of olive on top and use your hands to rotate and move the asparagus until coated. Top with some salt and pepper. Wrap each beet in foil (loosely is fine) and place in the tray beside the asparagus. 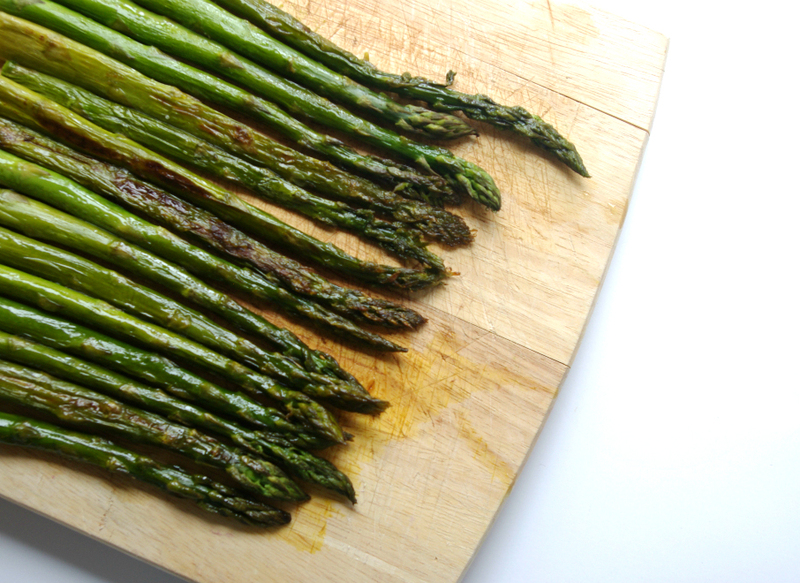 Roast for 20 – 30 minutes or until the asparagus has browned on the edges and stalk. Use a fork to test if your beets are fully cooked – it should easily pierce the skin. If not, place the beets back in the oven for another few minutes. 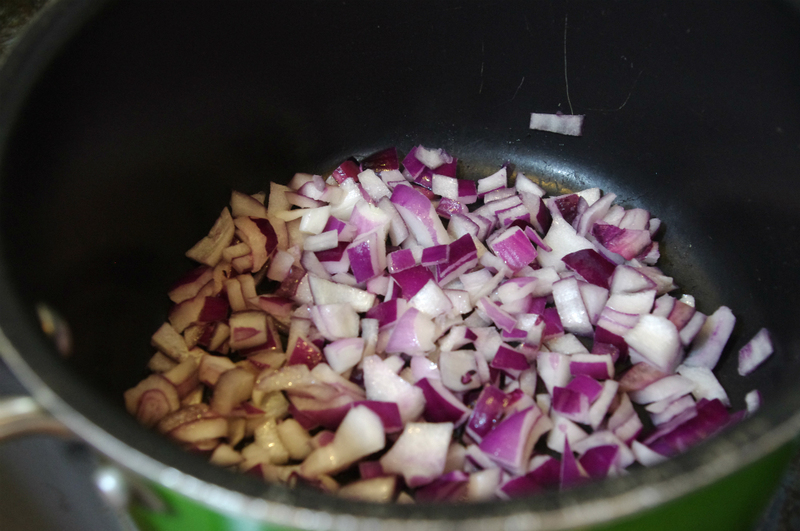 Meanwhile, add a few drops of olive oil to a pot and pour in your chopped onions. Lightly saute until glassy, then add the quinoa and three cups of water. Stir in the bouillon until dissolved. 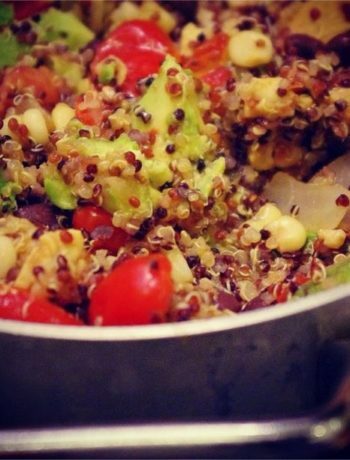 Bring water to a bowl, stir, then reduce heat and simmer quinoa until all of the liquid is absorbed. Unwrap the beets and let cool, then run under warm water and use your fingers to remove the beet skin. If fully cooked, it should slide off. If having trouble, simply use a vegetable peeler to remove any extra skin. Chop up the asparagus and beets into small, salad-sized bites. Chop the pistachios as well. 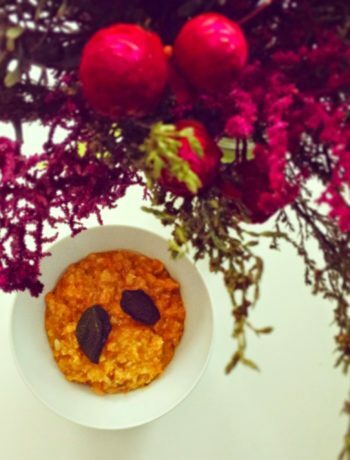 Stir into the warm quinoa. In a bowl, whisk together 2 tbsp of olive oil, lemon juice, agave, and balsamic. Add a few shakes of salt and pepper. 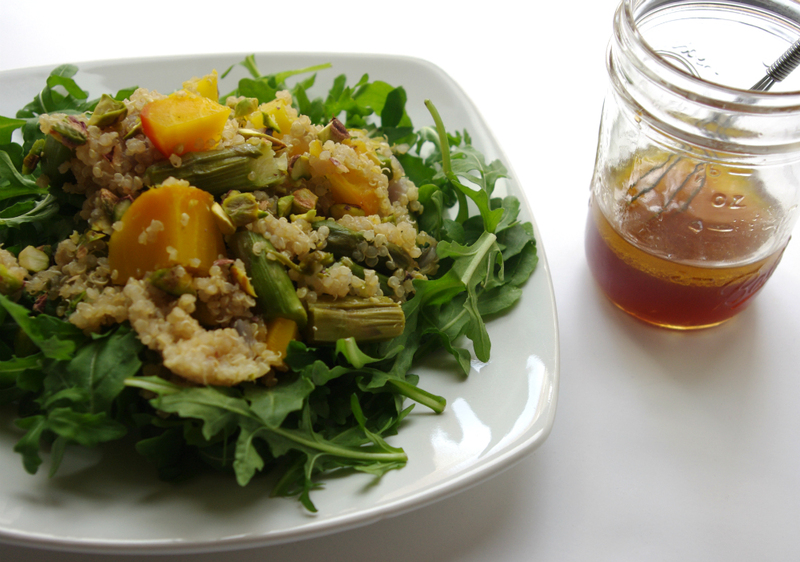 Serve quinoa over a bed of arugula, drizzling with lemony dressing to finish! Wrap each beet in foil (loosely is fine) and place in the tray beside the asparagus. 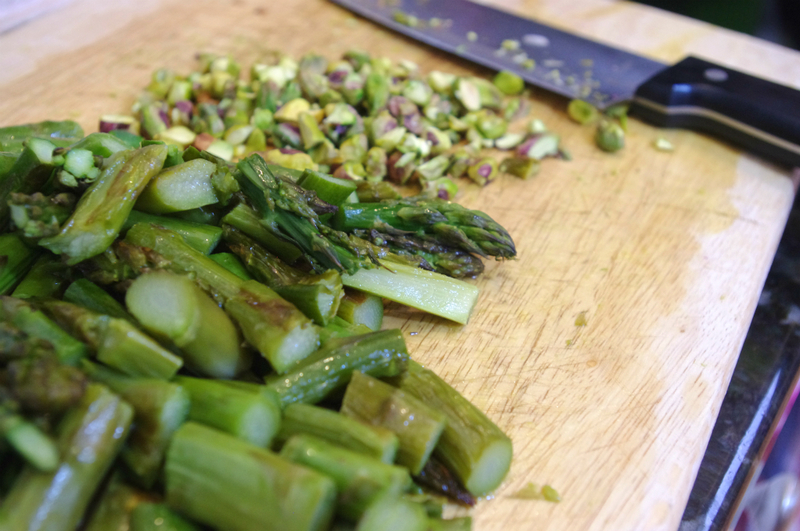 Roast for 20 - 30 minutes or until the asparagus has browned on the edges and stalk. Use a fork to test if your beets are fully cooked - it should easily pierce the skin. If not, place the beets back in the oven for another few minutes. Meanwhile, add a few drops of olive oil to a pot and pour in your chopped onions. Lightly saute until glassy, then add the quinoa and three cups of water. Stir in the bouillon until dissolved. 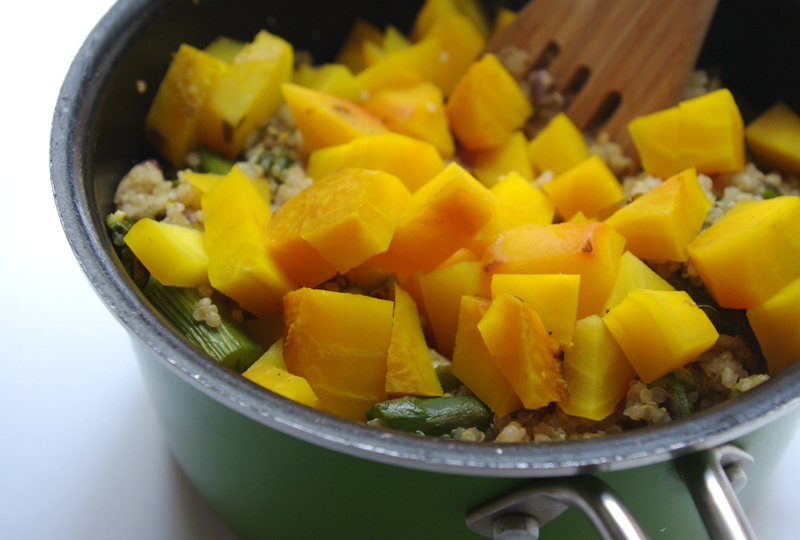 Bring water to a bowl, stir, then reduce heat and simmer quinoa until all of the liquid is absorbed. Chop up the asparagus and beets into small, salad-sized bites. Chop the pistachios as well. Stir into the warm quinoa. In a bowl, whisk together 2 tbsp of olive oil, lemon juice, agave, and balsamic. Add a few shakes of salt and pepper. 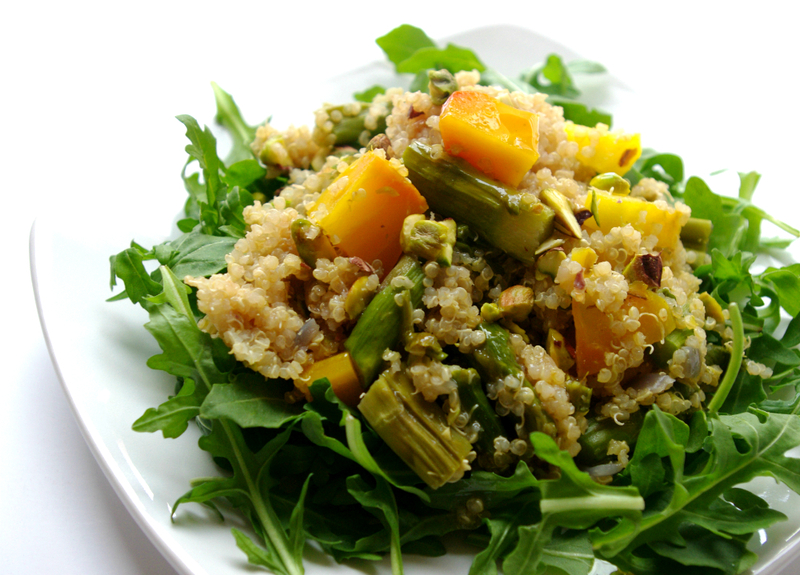 Serve quinoa over a bed of arugula, drizzling with lemony dressing to finish!